These impressive stats show that .IE popularity is booming. Businesses registered 81% of .IE domain names in 2018. But Ireland still lags behind most of the EU in country domains per 1,000 people. Are you and your business using a .IE domain name? A .IE domain can boost your business, help build trust in your brand, and fight cybercrime. See how recent regulatory changes have made it easier than ever for you to get a custom .IE domain. Proving an Irish connection can have a big impact on your business. The .IE Domain Registry found that buying Irish is important to three out of four Irish shoppers. A .IE domain assures international consumers that your business is authentically Irish. Securing your online presence is important in the fight against cybercrime. A significant way to do so is to register your .IE domain. .IE domain names are the safest internet addresses in Europe and the second safest in the world. Google prioritises .IE domain names for local searches in Ireland. This can increase your Google ranking and help customers find you. Build trust with your audience by using a .IE domain name. Over 100 million .COM domain names are currently registered. The most desired .COM domain names are often not available. And you’ll pay have to pay top-dollar on the secondary market. If you didn’t register a .COM before someone else scooped it up, don’t whine over watered-down whisky. There’s an even better alternative. .IE domains are more likely to be for sale or bought at a lower cost on the secondary market compared to .COMs. They had to prove their identity. They had to prove that they did business in Ireland. They had to prove valid reasons why they should own rights to .IE domain name. Now applicants can register any .IE domain name on a first-come, first-served basis. Now they also only need to prove who they are and provide documentation of business in Ireland once. After doing so, an applicant can register as many .IE domains as they want. Communities, clubs, and societies can register .IE domain names containing places easier. Before the changes, businesses struggled with the steps required to claim such names. Citizens and residents can now apply for shortened first names or nicknames. It will now be easier for individuals to move away from generic email domains like gmail.com. The introduction of a .IE secondary market allows domain holders to sell domain names. These changes have also removed an obstacle to .IE registration for start-ups. The “claim to a name” rule had proved difficult for Irish start-ups in particular. Many new businesses are not registered with the CRO. They may be VAT-exempt and have no physical premises. Meaning they have no official documentation proving their business’s existence. To register a .IE domain name, you’ll need proof of your identity and connection to Ireland. Irish businesses needs to prove similar legitimacy as well. Foreign companies also need to prove who they are and their connections to Ireland. Businesses and organisations must send a copy of proof via fax or email. Full details of the IE Registration Policy and IE Naming Policy are available at www.iedr.ie. No longer requiring a “claim to the name” makes the process much easier and faster to get a .IE domain name. You won’t need to prove your identity and connection to register further .IE domains. Simply provide your existing .IE domain. Some have questioned if Northern Ireland qualifies for a .IE domain name. The answer is: Yes, Ireland means Ireland. Anyone with a valid connection can register Irish domain names. 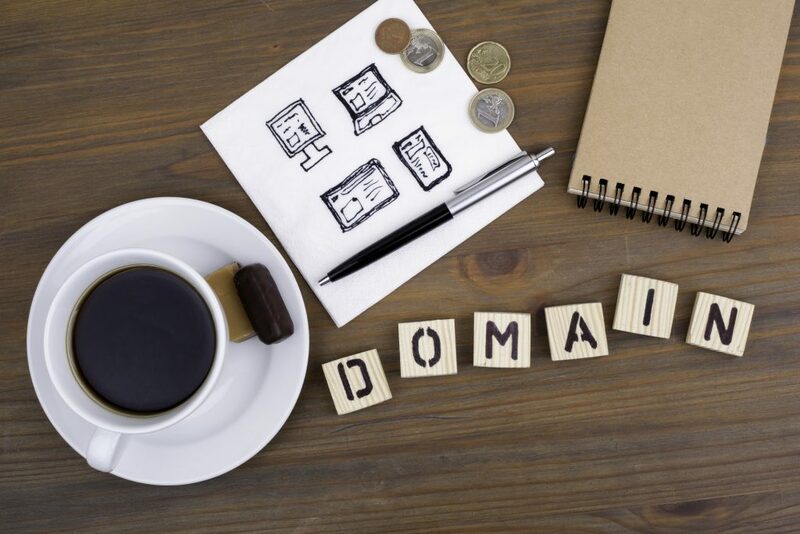 Although domain holders no longer have to prove “claim to a name,” disputes may still arise. If a domain holder is using a domain illegally, dispute mechanisms are in place. There is a formal resolution process operated by the World Intellectual Property Organisation. The IE Domain Registry (IEDR) is also creating an alternative dispute resolution service. It will be an independent Irish mediation service. This group will resolve disputes in a more faster and more efficient manner. To ensure the quality of .IE domain names, the IEDR must identify cyber-squatters. These domain owners look for unclaimed domains, register them in bad faith, and hope to resell at a profit. Like those living in homes they don’t own, they claim adverse possession of unused properties. Tens of thousands of businesses and individuals have registered .IE domain names. They enjoy increased business, building trust with others, and protecting their cyber-identities. Registering for a .IE domain name has never been easier. Visit host.ie today and perform a .IE domain check to secure your online presence. Your Irish domain name can start building trust for your brand in just a few hours. Buy a GoHost.IE hosting plan and get your .IE domain name free for the first year!